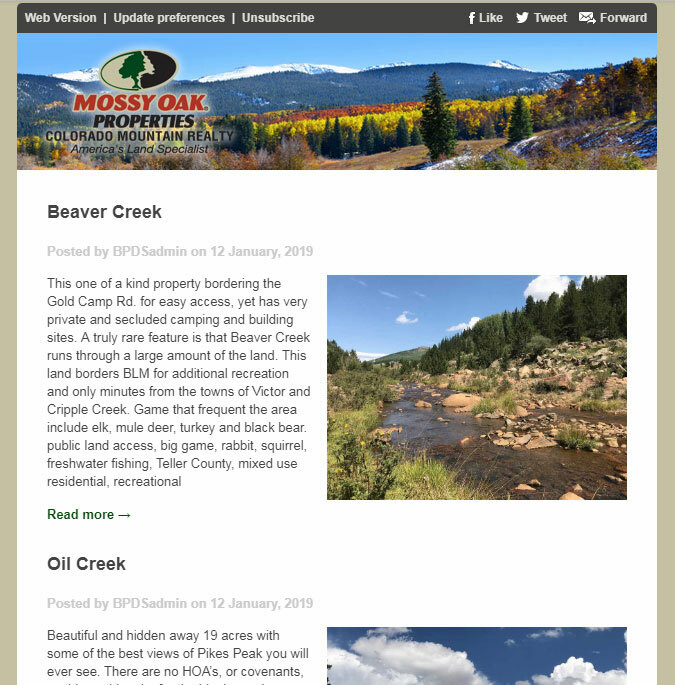 Email newsletter system setup for a land sales company located in Colorado. This is an automated system that mails out at the same time every month. The system pulls the most recent posts from the website and includes them in the mailing so the owner doesn’t have to do anything for the emails to send out. It comes with all the great subscriber list management and admin side statistics that help them reach out to their customers and close sales based on activity they see with their newsletters and on their website.